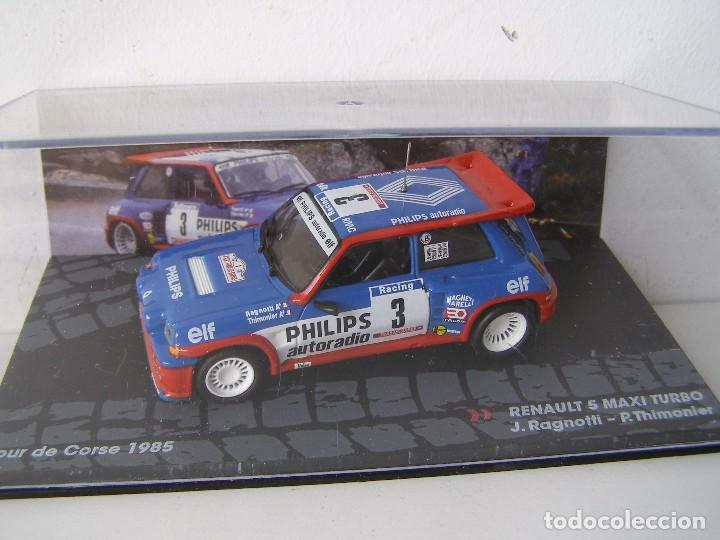 COCHE A ESCALA 1/43, DE LA COLECCION DE RALLY ITALIANA, DE EAGLE MOSS ALTAYA, MODELO RENAULT MAXI TURBO DE TOUR DE CORSE DEL 85 DEL PILOTO J. RAGNOTTI. ANTIGUO COCHE DE METAL. CITROEN 11. TAXI. ALTAYA. 65 GR 11 CM. Hora oficial TC: 12:22:22 TR: 134 ms.